ne of the ways that genealogists and family historians can earn money is by speaking at conferences. This past week there have been dozens of excellent speakers at the National Genealogical Society’s Conference in Richmond, Virginia. Some have been speaking at conferences for years and others are new to the role. I recently gave a PowerPoint presentation on blogging at the Waterford Genealogical Society’s Annual Lock-in event in Waterford, Michigan (http://www.rootsweb.ancestry.com/~miwatgs/index.htm). It was a new experience, but I enjoyed the challenge. Let’s face it, many family historians like to hang out in libraries and stay out of the limelight. 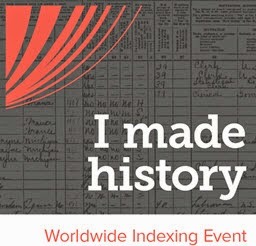 See, for example, the recent “Upfront with NGS” post entitled “Genealogy conferences and the introvert…” (http://upfront.ngsgenealogy.org/2014/05/genealogy-conferences-and-introvert.html). A great deal of work goes into a presentation. If you do a PowerPoint presentation, you will spend many hours drafting and decorating your slides, contemplating how many to use, deciding on a color scheme, etc. You will fret over possible technical issues that undoubtedly occur—Internet outages, projector issues and more. You also need to be sure that you have the right technical paraphernalia so that your laptop connects properly to the equipment at your conference location. And then there is the handout. Attendees want a useful handout—I know I do. Here again, you have the question of what to include, how many pages to write and how many photocopies to make. And, of course, there is the presentation itself. Practice is the key. Bless my poor husband for listening three times as I rehearsed the genealogy blog talk on him. Are you a family historian contemplating a speaking engagement? Are you a genealogist who needs some brushing up on your speaking skills? I want to recommend that you join Toastmasters International (http://www.toastmasters.org), a club that helps people improve their speaking and leadership skills. There are Toastmasters clubs all around the world. In my area there are over ten clubs within an easy drive. The cost to join is very low, and you will be so glad you made the leap. There are classes during the day and at night so anyone can fit them into their schedule. You will make friends and gain confidence. We all love tracking down our ancestors, but it is important to be able to communicate your learning to others. Public speaking is a skill set that will broaden your experience and maybe even put a little money in your pocket—perhaps enough to pay for some of those expensive database subscriptions. Frequently, you may also want to donate your speaking time for the good of the cause. If you join a Toastmasters, please let me know. Good luck! Dover Publications, Inc., Mineola, New York, Electronic Clip Art, "1200 Ornamental Letters," 2007. Dover Publications, Inc., Mineola, New York, Electronic Clip Art, ""1100 Pictorial Symbols," 2007.